Etoro Litecoin Broker is now offering Litecoin trading on their unique Social Trading Platform. Read their review below! Looking for a social trading experience and a place to trade cryptocurrencies? Look no further a Etoro offers both! Let’s go social crypto! Recently, many brokers have added a diversity of cryptocurrencies to their asset lists. With the huge popularity of cryptocurrencies such as Bitcoin, Ethereum, Litecoin and others little choice has been left. For many, buying the virtual coins has become impossible due to theri high prices. The forex world has reacted quickly on this by now ensuring cryptocurrencies can be traded on their platforms allowing traders to start with relatively low initial investments. So if you missed out buying bitcoin or litecoin when their rates were still very low, now you can join the hype! eToro ensured to anticipate on this whole development as one of the first in the industry and in combination with their social platform, cryptocurrency trading now has been made even more exciting. 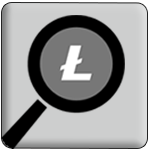 The combination of the before mentioned has given us no other choice than calling etoro a true litecoin broker! Etoro is already pushing its social trading concept for years and with 3.5 to 4 million clients, it is obvious they hugely succeeded pushing it from the ground. During its first years many people were convinced eToro’s direction wasnt the right one but by being consistent and strong as a company eventually they achieved their goals. These days, the company is still heavily expanding and more and more traders are joining them on daily basis. The concept is actually simple…but quiet genius as well! One their social platform called the Openbook clients can follow and copy the trades of other people. All they have to do is find those traders which are very successful and trade the identical assets as the person in matter would. On the other platform, the Webtrader, copied trades can be opened and….there you go…you are now trading! By applying the above methods, eToro managed to become hugely attractive to the market of new and inexperienced traders. The simplification of the trading concept led to a huge flow of new clients which are maybe not ready yet to trade on platforms such as MT4 or MT5. We personally believe these platforms are very user friendly as well but as said, they might not be suitable for everybody. Going back to the Webtrader, it is a full functioning platform offering enough to any trader of any level. Although it does not have all the features the MT4 pltform offers we still believe the Webtrader offers more than enough. It allows you to analyze your trades in real time and synchronize them with the Openbook from your desktop pc. Naturally, Etoro also has a very nice mobile app compatible with both Androids and Iphones. It gives you the possibility to trade and has the same options as the WebTrader. Etoro offers a demo account including $100K of virtual money in order for you to get used to the trading environment. It will allow you to get used pretty fast. Traders who have been using MT4 or MT5 all their lives might be a bit surprised here and might experience the “getting used to curve”. Once you have played around a bit and want to take it to the next step, opening a standard account would be relevant. The standard account can be funded with a deposit as little as $50 which is very low compared to others. Etoro offers an Islamic Account. The minimum deposit on this account although is $1000. Throughout the different holidays you can certainly expect offers from Etoro. Generally they will be in touch with you by forms of email or telephone. We actually like the fact that eToro is pretty active with its traders but does not become “spammy”. Once you open you account, you can accept their welcome bonus as well. Its height depends on the amount you intend to invest and goes up to 1.000 eToro credits. These credits can be used for trading but there are also other options you can use it for. Like having their cryptocurrency. Upon opening a trading account, you can deposit in a variety of ways at eToro. Such as at any broker, credit cards and wires deposits are offered. In addition you can deposit as well through use of the diverse APM’s (Alternative Payment Methods). Some samples? Paypal, Skrill and Neteller are offered. After playing around for a while with the Openbook and Webtrader, we were surprised about the level of fun this experience gave us. We are used normally to sit next to each other here and not speak a lot during our tests but the social experience brought us to life! It was fun, easy and refreshing! Their platform works excellent and is very user friendly. We believe eToro did a great job with the concept of social trading and both new and experienced traders will surely have fun here! In short, we highly recommend this to anyone who wants to freshen up his trading experiences a bit!